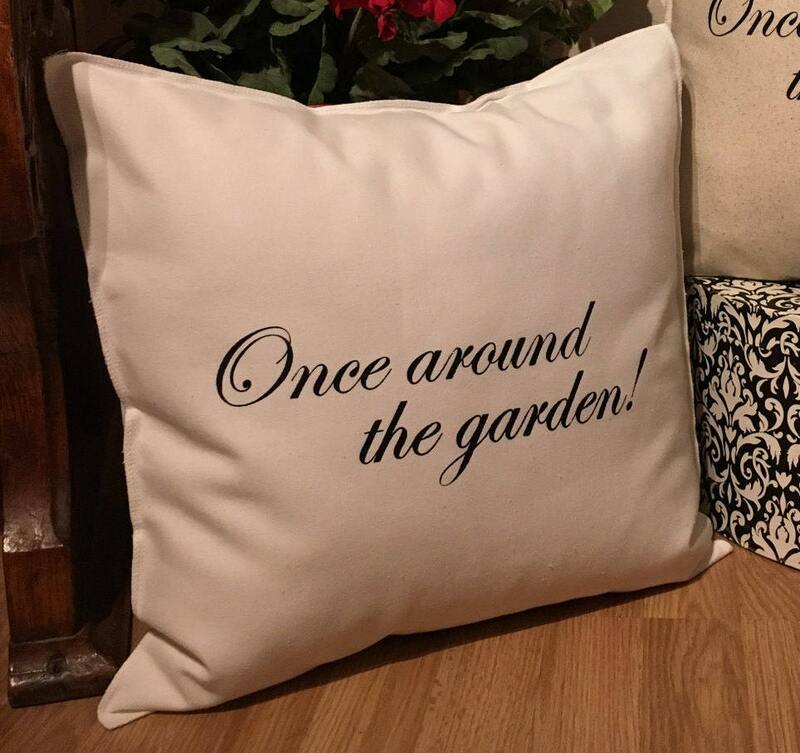 This ONCE AROUND THE GARDEN Pillow Case is inspired by a local flower shop that carried my pillows. The priest at the owners church used to say "Once around the garden" when having conversations with her and it because the store saying. This listing is for one (1) ONCE AROUND THE GARDEN 18”x18” pillow case. The case is made from a sturdy, cotton white duckcloth. The case is sewn using a serger with the edges exposed, giving the pillow a more unique finish. The back of the case has an envelope closure to allow you to easily insert your pillow form. All printing is created and screened by me. Simply Donnie products are made to order. Please allow up to five (5) business days for your item(s) to be created before being available to ship. All orders will promptly ship upon completion.